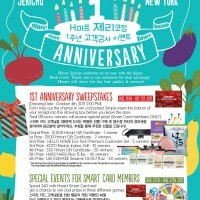 H Mart Jericho 2nd Year Anniversary Event! 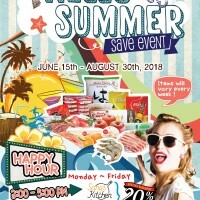 HMART Chicago Downtown Hello Summer Sale Event! Different items every week. 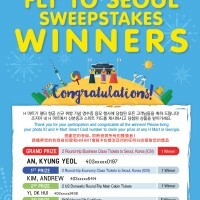 Come to HMART Chicago Downtown and see if your favorite summer items are on the list! Thank you for your participation and congratulation on your winning! 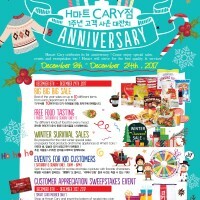 H마트 Cary가 고객분들의 성원 속에 어느덧 오픈 1주년을 맞이 하였습니다. 따뜻한 겨울을 보내시라는 마음으로 풍성한 이벤트와 세일을 준비 하였으니, 많은 관심 부탁 드립니다. 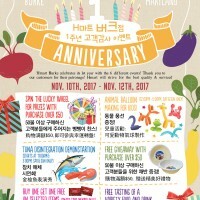 From free giveaway and a chance to spin the wheel with $50 purchase to tuna disintegration demonstration, join us celebrating Hmart Burke's first birthday! 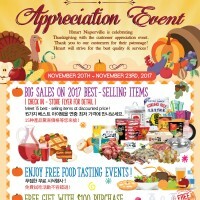 Hmart Naperville's special thanks to all customers visiting the store this Thanksgiving! 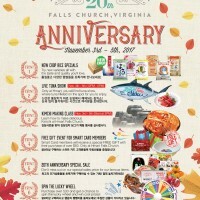 Hmart Falls Church celebrates its 20th anniversary. Enjoy special sales and events from new crop rice collection to face painting for kids! 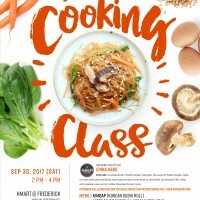 Whether you're interested in Asian culture, new to the kitchen, sharpening your culinary skills, or looking for a great experience to share with your friends, we have the perfect cooking class for you at our store in Frederick! Come join us for a cooking demonstration, led by our very own in-store instructor as well as a very talented local chef. 9월 22일부터 10월 1일까지 진행되는 H마트 네이퍼빌점 10주년 고객 감사 이벤트! 10주년 맞이 할인행사에 사은품이 걸려있는 경품행사까지! 많은 방문 부탁드립니다! 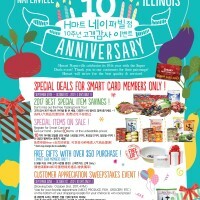 H Mart Naperville presents 10th anniversary customer appreciation event! Come meet special deals on selected items and participate in sweepstakes for prizes. Thank you for your support! 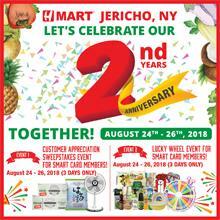 Hmart Jerico celebrates Customer appreciation festival with super deals event!